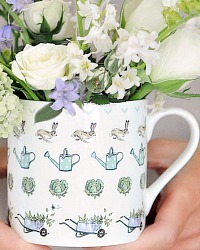 Country Gardener Fine Bone China Mug with everything we love about the garden beautifully decorating the inside. Watering cans, wheel barrows, cabbages, rows of seedlings ready to flourish and grow. And then, rabbits! 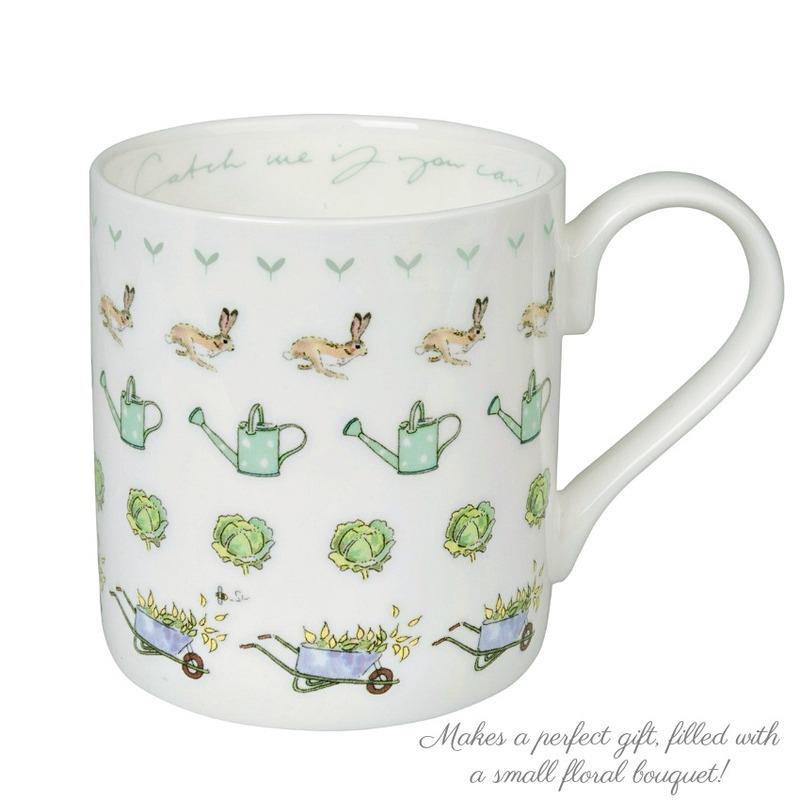 Maybe not our favorites in the garden, which is why the inside of the mug features "Catch me if you can!" written tongue in cheek. 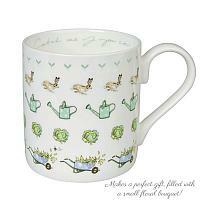 A perfect gift for all your gardening friends and family. 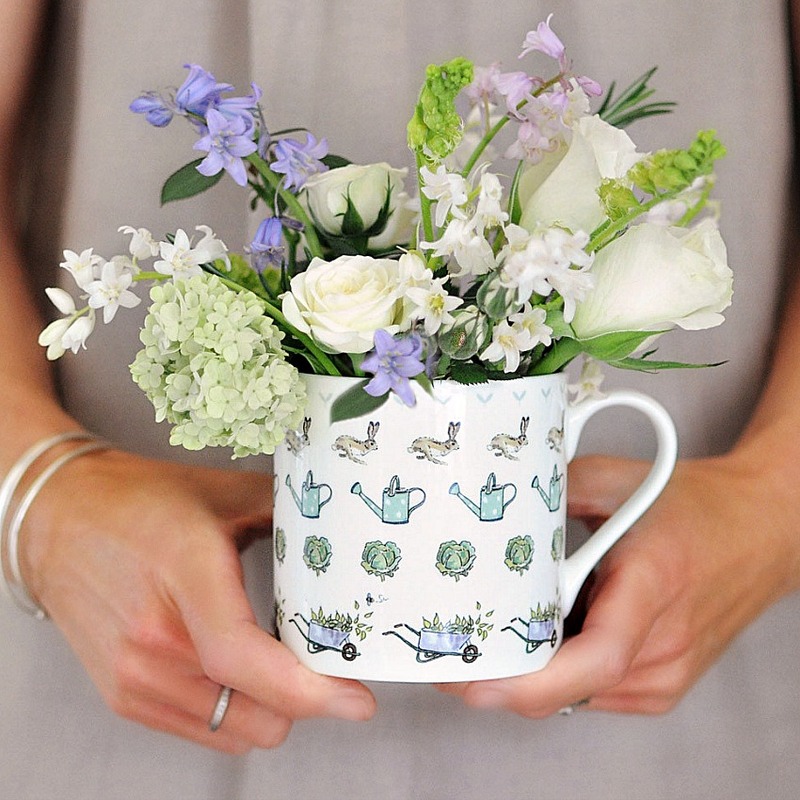 Enjoy a cup of tea or coffee in the garden in one of these adorable cups, or gift with a fresh flower bouquet. Hand decorated in Stoke on Trent, England. Dishwasher and microwave safe.